Situated on the wide Intracoastal Waterway across from Peanut Island and adjacent to the Lake Worth Inlet, Sailfish Marina has to be the biggest attraction by the Singer Island condos. There is a resort motel, marina, restaurant, and gift shop with activities such as festivals and fishing tournaments scheduled throughout the year. There is something for everyone at this beautiful, favorite spot of both tourists and locals alike. Whatever your reason for visiting, you must take a stroll along the seawall to observe and/or feed the fish you will see swimming all around the docks and to admire all of the beautiful yachts in the marina. Be sure to look for the moray eel that lives in the rocks right in front of the restaurant. If you live on the Island, your out-of-town guests will love the convenience of staying at the resort where they are a short, scenic stroll along the Lake Worth Inlet to the Singer Island Beach and also to the Ocean Mall. Each room is named after either an island in the Bahamas or a game fish. From the Marina they can also walk to Phil Foster Park where there is incredible snorkeling, diving, swimming, and a white sand beach. 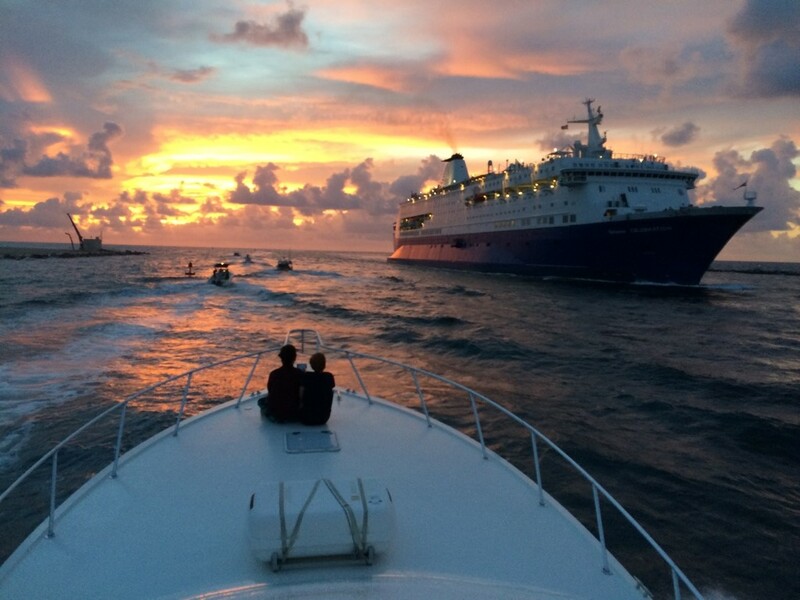 Take a stroll from the Sailfish Marina to the Atlantic Ocean along the Lake Worth Inlet trail and watch the boats going by at sunset. Every Thursday night from 7:00-9:00 at the Sailfish Marina there is a Sunset Celebration with live music (typically a guitar and singer and sometimes a steel drum band), local artisans, and a fish fry with Grouper Dogs and Conch Fritters. A stop at the Sailfish Marina gift shop is a must. You will find some of the most unique and interesting gifts and souvenirs that you won’t find anywhere else in Florida. The restaurant is open for breakfast, lunch, and dinner with both indoor and outdoor seating facing the Intracoastal and marina. This is a great spot for a fresh fish dinner, Sunday Brunch or for happy hour. 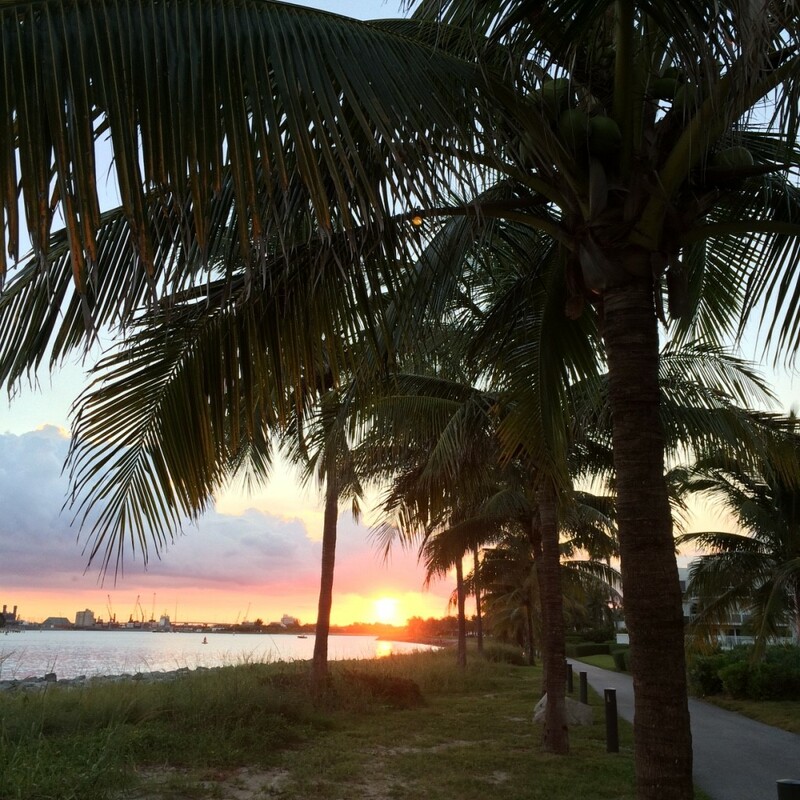 Be sure to find an outdoor table where you can watch the sun set in the evening over the Intracoastal and enjoy the sights and sounds of the tropics. Monday – Bob McDonald 5-9:00pm. Playing music from the 60s, 70s, 80s, and 90s. Tuesday – Jim Breen/Clark Rodrigues 5-9:00pm. Summertime easy listening. Wednesday – Jimmy Jack Tamburo 5-9:00pm. Blues, classic rock, and island reggae. Thursday – Clark Rodriguez 5-9:00pm. Top party hits. Friday – Eddie Preman 5-9:00pm. Island acoustic. Saturday – Charlie Eginton 5-9:00pm. Good time favorites. Sunday – Pan“tastic” Rhythms 1-5:00pm. Steel pans. For wakeboarding, waterskiing, boat charters and rentals, fishing charters, tubing and parasailing at Sailfish Marina, you can make arrangements with Sailfish Marina Charters or Adventure Watersports. 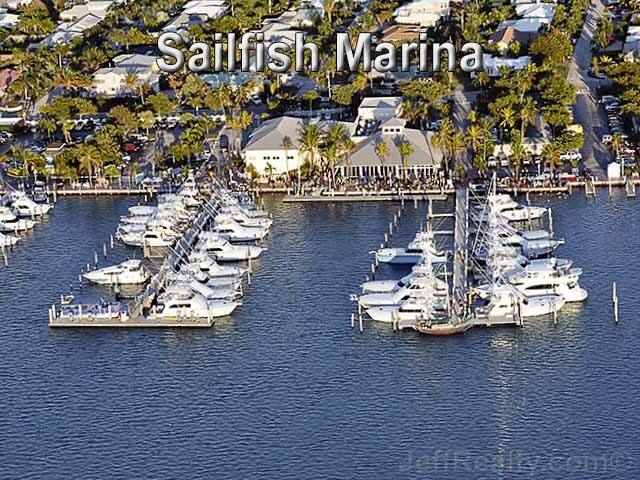 Take a trip to Peanut Island from Sailfish Marina. The shuttle goes every day at 9:45, 11:45, 1:45, and 3:45, with the last boat returning to Sailfish at 5:30. The cost is $12 for a round trip ticket and children 3 and under are free. The water taxi also offers a narrated tour of the beautiful mansions and luxury yachts in Palm Beach every day from 10am, 12pm, 2pm, and 4 pm. The cost is $30 for adults and $15 for children. Children under 4 are not allowed. Paddleboarding and kayaking around Sailfish Marina is also a popular and a great way to observe all of the fish and aquatic life around the Marina and out to Peanut Island. Be sure to sign up for some of the fun events at Sailfish like the annual Lobster Fest or one of the many fishing tournaments. One of my favorites is the incredibly popular Blue Water Babes on September 30th. This is the first all-women fishing tournament raising money for local charities and this year they will be raising money for both breast and ovarian cancer patients in need. The cost to register is $500, but even if you don’t fish, you should stop by Sailfish to check out all of the crazy costumes and decorated yachts. Also stay tuned for the Fish for Hope fishing tournament which raises money for kids in Foster Care and is a favorite charity of mine. The people that run the charity are incredible, inspiring, and loads of fun. See you soon at the Sailfish! Would you like to be featured in the Singer Island Spotlight Blog? Let us know! Send an email to Lanae@JeffRealty.com. Posted in Singer Island, Singer Island Condos, Singer Island condos for sale on October 3, 2016 at 9:10 am.